Writers are painters. Wait, what? Yes, we are! A good story can mesmerize someone as much as a great painting. Books speak to all senses, and they are a form of art sharing many similarities with paintings. We can bring a setting alive with descriptive words so that the readers feel as if they’re looking at a painted landscape scene. We can characterize a protagonist so vividly that the readers feel as if they’re staring at a painted portrait in front of them. We can capture the moment and the atmosphere in a way that makes the readers feel they’re studying a candid snapshot. Like a painter, a writer will start by choosing his or her preferred tools and paints (his genre, language style and technical way of writing). He or she will start with a plot outline that is like an artist’s rough pencil sketch. The bigger picture comes first, forming the skeleton of the painting or story that is then fleshed out step by step. Details and highlights are added in later. Last comes the frame, in our case tagline, burb and synopsis. As a romance writer, what do I "paint"? A picture of love, of course! Painting the emotion of LOVE with your words is such fun. You can show all the myriad facets of it, from blissful first love that is all shades of rosy red and pink and tinges everything with happiness, to the dark and desperate tones of unreciprocated or rejected love. You have to know just which words to use to give love a nuance of passion or power, of doubt or hope, of tragedy or infatuation or innocence. Like a painter, we romance writers shine a light on life and love, make every single piece unique and personal, with a specific audience in mind. The story is the canvas, and we decide whether to use bold brush strokes that are visible from afar and shout out our message, or whether to paint subtly with a hidden depth that is revealed only when someone steps closer and digs deeper. We can choose a classic style or create our own style. Riya seems to have lost everything—the man she loves to another woman, her husband to death and her soul to fear.An unexpected meeting with her first love, Ryan, stirs up long repressed feelings but also allows her to move out of the long shadow of the past. Unburdened, she feels free to pursue her dream of opening an art gallery and the handsome and intriguing artist Rehaan. But memories of her marriage refuse to fade away and then suddenly, Ryan shows up in her life again. 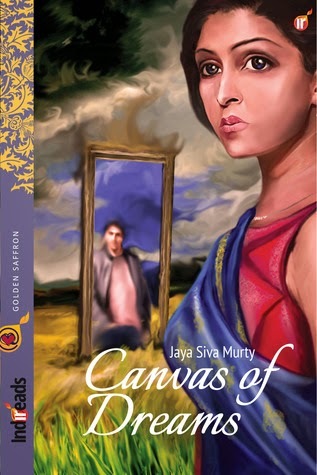 Now, Riya must find the courage to reconcile her past and present.For Riya, life is a canvas of dreams. Can she distinguish between reality and fantasy? Jaya Siva Murty is a business writer and social media manager from Visakhapatnam, India. Fascinated with the written word since the age of ten, she would file away her poems and short stories in a secret diary, till some were finally published by ‘Times of India’ and ‘Savvy’. She has written for the Economic Times and now provides India-relevant stories for a Hong Kong based magazine. When she’s not designing content for websites, or writing technical blogs and articles for clients worldwide, she spins yarns with unusual twists and turns through her works of fiction. Jaya holds a business management degree and has taken creativity lessons at Stanford University. 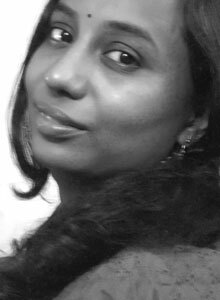 ‘Canvas of Dreams’ is her debut foray into novella writing. Thanks a lot, Sundari. :-) Yes, the book sounds very interesting.